He’s on a roll, Faisal Vawda is. His spectacular fancy dress show at the Chinese consulate in Karachi after the terrorist attack there was barely out of the public’s memory that he is back in the limelight, this time being extremely brash with a senior journalist during a press conference of the ministry of water resources. The question was pretty simple. Your party was up in arms against the bidding process of the previous government’s LNG deal, then how do you justify a similar bidding process for the construction of the Mohmand Dam? Rather than answering the question, Vawda said that he expected this sort of question from an outfit like Dawn. I won’t answer questions about deals that took place before I was born, he said. By this point, the rest of the journalists had gotten up and started shouting the minister down, who had already started apologising, but to no avail. The question itself wasn’t even rude. It was about the bidding process and not even about the more problematic fact that the contract has been awarded to a company owned by a member of the federal cabinet. Rude mannerism aside, his answer didn’t make any sense; he was not there to answer for the LNG bidding process that took place before his party took over, just explain why the party had protested back then, and did the same thing now. Post-script: as Dawn’s Khurram Hussain pointed out, the government claims that the water crisis is its biggest priority. Then why, oh why has it placed Vawda as the minister for water resources? The finance minister is also bad at his job, it would appear, but before taking over, there was at least the impression that the man had a handle on high finance. What, exactly, was Vawda going to bring to the table? 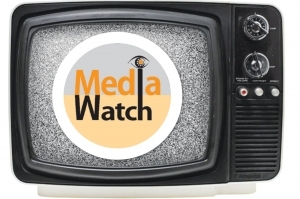 Media Watch column is meant to offer commentary on the affairs of the media.